Members can create a free dating photo profile for other gay women to find. 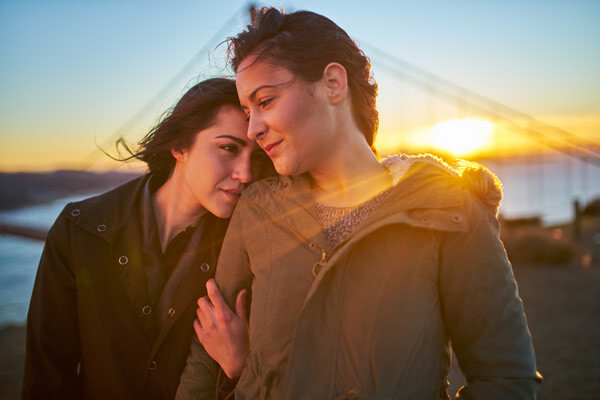 Once you receive a message from a another member, or if you want to send a message yourself, you can upgrade your account and take full advantage of all our premium lesbian dating services. With instant messaging, status updates, member feeds, video dating, dating diaries and more, there are plenty of ways to get to know lots of our members. When you first join 40 Lesbian, you become a free member. As a free member you can create a free mature lesbian dating profile, add a photo, search for single gay women by county, create your favourites list and send unlimited winks. You'll also receive an email if someone adds you as one of their favourites, winks at you, or sends you a message. You can upgrade your 40 Lesbian account from free to full membership by accessing 'My Account' when you login, or click here to be taken to the membership page once you are logged in. If you have any questions about your membership, or have any trouble using the service, our dedicated support team are on hand Monday to Friday from 9am to 5pm and will be happy to help you.